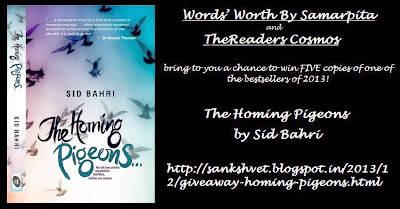 We have the results for the above giveaway, our judges at The Readers Cosmos sent us the results sooner than we expected!! So, here is an early Christmas gift for those with answers which appealed the most to the judges!! 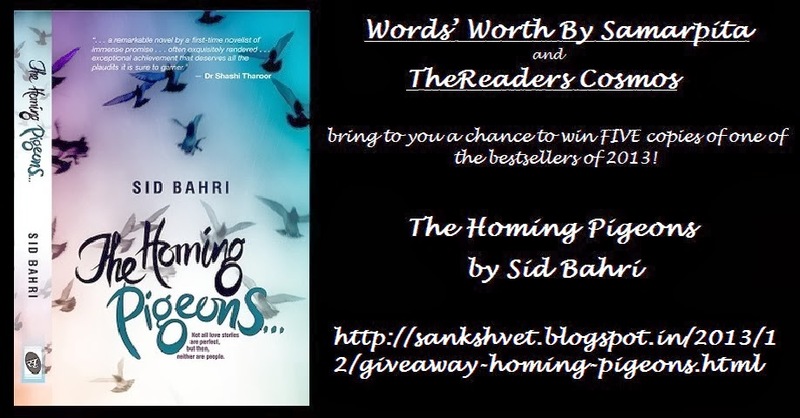 You win author signed copies of The Homing Pigeons by Sid Bahri. Please send me you addresses so that we can process your winnings! #MB2013: I can cook, too! !